I've got 91 problems, and lack of power isn't one. As in previous models, the DFour91 incorporates five meticulously placed strain gauges throughout the spider, designed to measure how many Newton Meters you're putting out when you hammer on the pedals. And it still incorporates the same level of claimed accuracy at +/- 1.5%, keeping it 0.5% more accurate than most meters. One of our favorite features, though, is that the new design doesn't require as much correction in order to maintain accuracy through massive temperature ranges, allowing things to work smoother when the mercury drops. This means that the DFour91, like the DFour, is better at rationing battery life through changing weather, but when the battery does die out, it's still easy to change without tools or tedious procedures. Quarq's 10K Dynamic temperature compensation technology graces us with its presence in the DFour91, alleviating us from the stress of constant mid-race zeroing when the temperatures fluctuate on long alpine climbs, or early morning to warm afternoon race days. While making corrections may seem like they come at a minuscule cost of coasting for a couple of seconds, it can make all of the difference between the podium and sidewalk come race day. Not to mention the incessant annoyance of toggling through your head until you've found the right option. Approximately 10,000 data points chart a map to create an auto-adjust schedule for the meter by collecting information on how the unit responds to temperatures from zero to 130-degrees Fahrenheit. This enables the power meter to decipher the weather for you, so you can focus on the climb ahead and your triumphant victory. Since riding season far surpasses the days of sunshine and daisies, the DFour91 is built to not only withstand the large temperature ranges, but serious weather. Quarq takes our winter training seriously, by ensuring that its internals are protected from monsoon rains and blizzards alike. The system is completely waterproof for up to 30 minutes when submerged under a full meter of water, which hopefully you never have to test out, but gives you the peace of mind you need when the weather man's "mostly sunny" forecast takes a turn for sudden downpour. With all of the tech that's loaded into the DFour91, its no surprise that its topped off with the bells and whistles. It includes AxCad accelerometer, which provides cadence information, sans extra magnets and sensors to make sure you're not missing out on any additional data you crave. 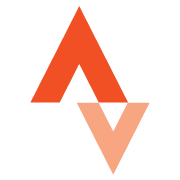 The system is compatible with a host of training programs, like Golden Cheetah, Strava, Training Peaks, and Training Peaks WKO+. The DFour91's Bluetooth compatibility also allows you to sync up to the Qalvin BLE app, enabling easy firmware upgrades, tuning, tweaking, and setting zero offsets. Have an answer for nea106004116-0? Hey king. What does 91 mean? 91 means it's suited to work with the newer R9100 Dura Ace, versus the DFour which was for the older 9000 generation. Hey Tommy do you know if the 46-30 Absolute Black chainrings work with this crank?